Hi All....and Happy New Year. February - Again the background Versa resist, then dry embossed and heat embossed! 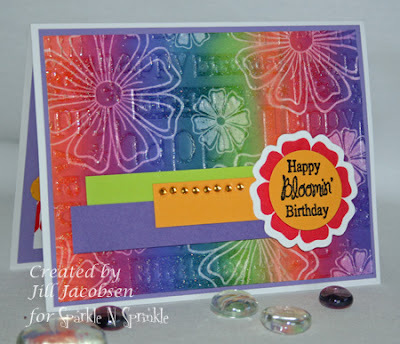 March - Love the colors of the Summer Essential embossing powders with the Summer Swirl Stamp Set. May - the layout and the pointillism with the Copics is why this one is my favorite. 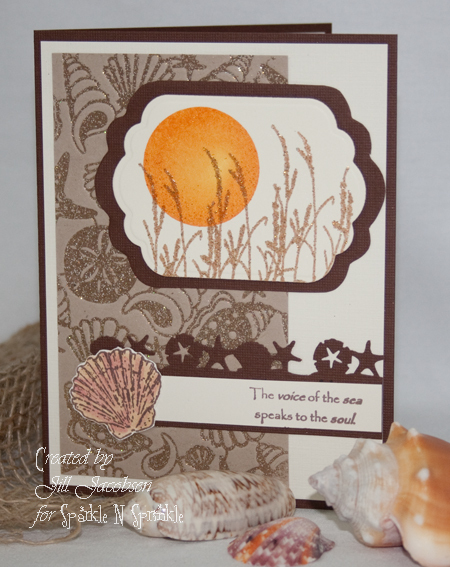 June - a nice peaceful card that reminds me of the Keys. July - Coloring with Copics and learning different techniques. 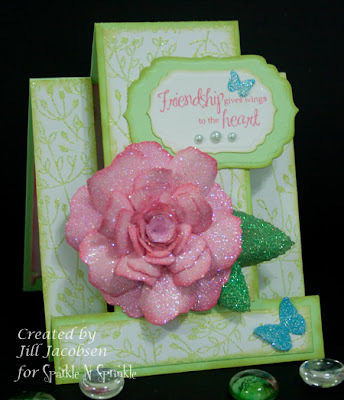 August - Playing with my new Pazzles and creating a new Cut File with a plaque frame. 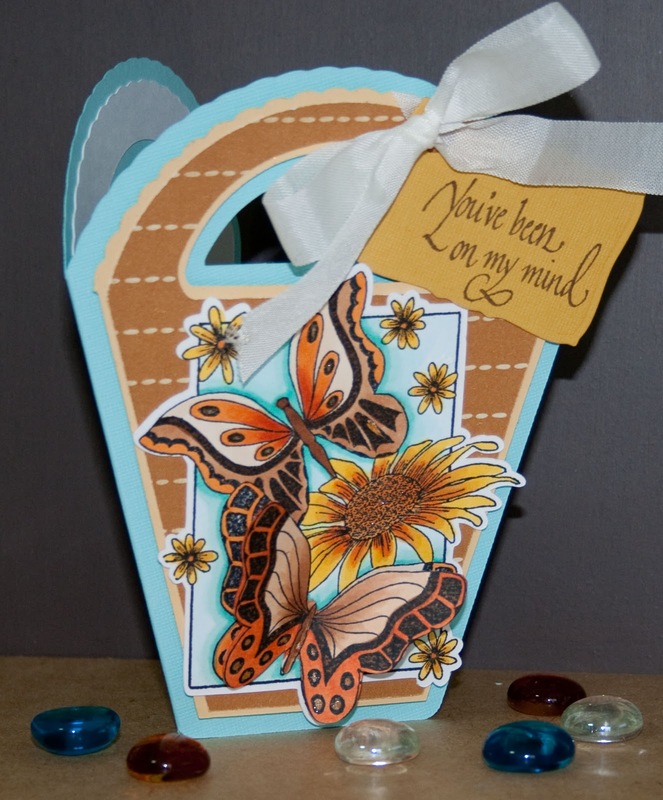 September - Again the Pazzles making a shaped card and the Cut File, also like the fall coloring on the butterflies. 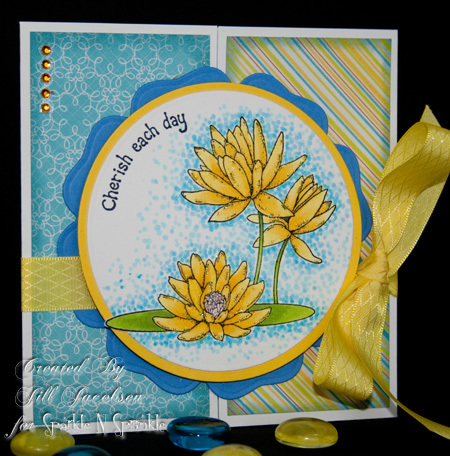 October - The three layers of the ornament really make this card pop, along with the Fun Fold and glitter! November - Again the dimension, the fold and I just love the color combo and those new Tuscany Embossing Powders. After going through the year I realized that I have really been focusing on my coloring with Copics and on creating backgrounds. I hope you have enjoyed this walk down memory lane as much as I have. 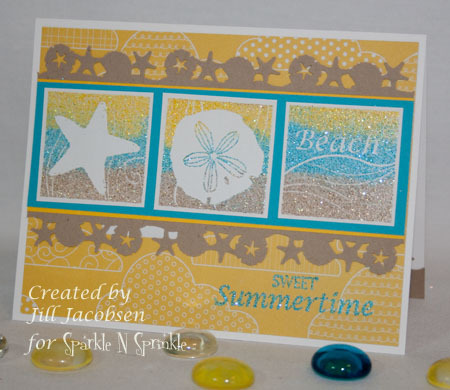 All the stamps and supplies can be found at Sparkle N Sprinkle. Beautiful cards- what a fun hop- your Faux Bleach card (the last one) is just beautiful!!! Jill, your cards are so beautiful. Your rose with the chrystalized sugar technique is amazing. I really enjoy your work. Jill, Beautiful cards as always. Its great to see a review, like this. 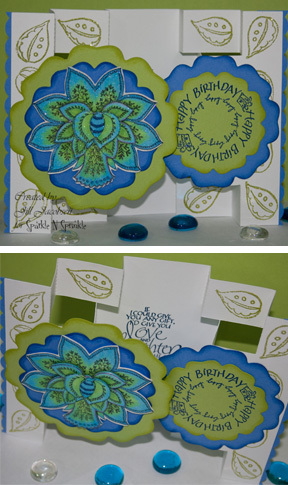 beautiful cards!! happy new year! Wow, these are all gorgeous cards. What great creations - all colored beautifully! Love the bit of sparkle you add too. Wonderful collection of cards! I loved looking at all of them. Beautiful cards. I especially like the rose card. Great job! 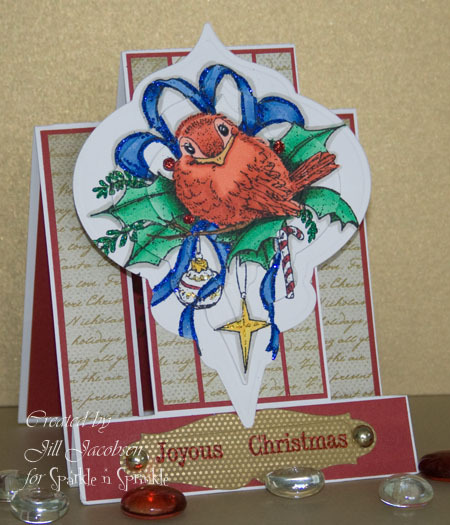 All stunning card, you have such amazing embossing and glitter techniques. 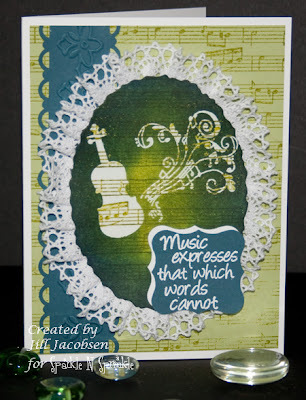 Great cards Jill. So colorful. These are all beautiful! I think my fav is August - love the colors and design! Happy New Year! Great job on all of them. I especially like the flower on the April one. Happy New Year! Great collection of cards. Love how you make the ones that pop out from the top. WOW! Your coloring is amazing and I love what you can do with ink! Thanks so much for sharing...I'm really enjoying this hop. simple and beautiful, I love the last one, it is amazing and colorful in nature. oooh! August is my favorite! I love the shape and colors! Happy New Year!